Nokia 6233, 6234 Mobile Phone Holder/Cradle CR-56 including Antenna Coupler and HHS-9 Swivel Mount Bracket. Brand New in Original packaging. 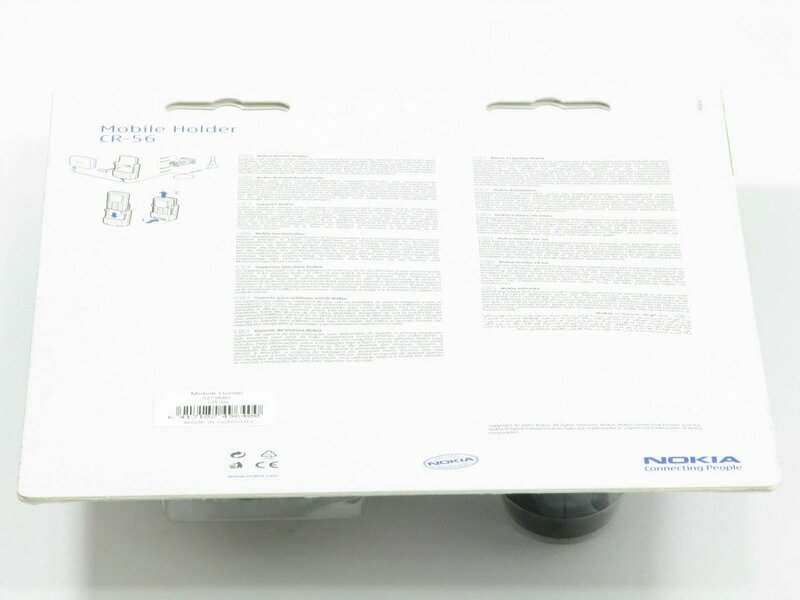 The Nokia 6233, 6234 Mobile Phone Holder Cradle CR-56 package includes the external antenna coupler and the Original Nokia HHS-9 Swivel Mount Bracket. Once installed into the vehicle, this device will keep the Nokia 6233 and/or 6234 mobile phones firmly in place. It's designed to be quick and easy to mount into your car. 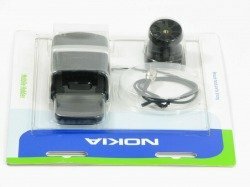 This genuine Nokia accessory is also a safe and convenient way to keep the Nokia 6233, 6234 models/series mobile phone handsets secure and within hands reach so you can quickly and easily accept incoming calls through the compatible Nokia Hands-Free Car Kit* (*not included). Simply pop your Nokia 6233 or 6234 mobile phone device into the Cradle/Holder, and secure it there by clicking it into position. The Nokia 6233 and/or 6234 mobile phone handset can also be just as quickly released by the simple press of a button on the Cradle. 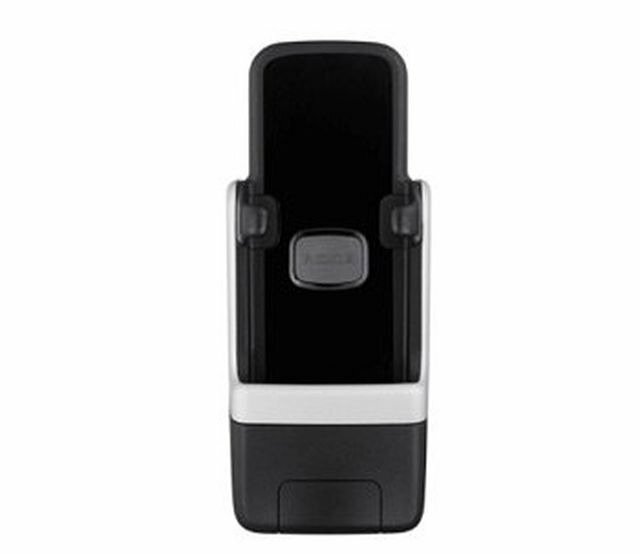 The Nokia 6233, 6234 Mobile Phone Holder Cradle CR-56 is quick and easy to mount into the vehicle thus enabling you to legally and securely store your Nokia 6233, 6234 handset device for total Hands-Free communication. Pro's: + easy-to-install, firm grip, stylish design, easy to release phone, safe, practical and convenient to use. 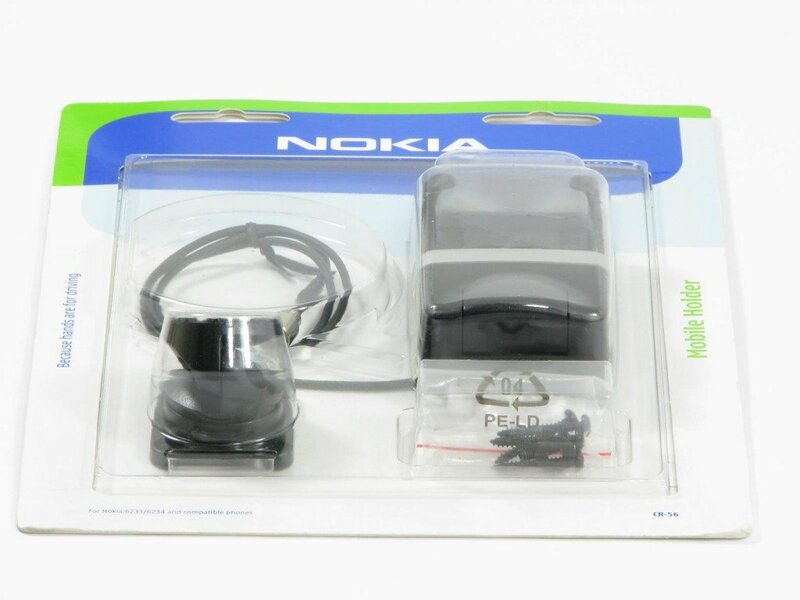 Package contents include:- Original CR-56 Nokia 6233, 6234 Mobile Phone Holder Cradle with attached Antenna Coupler, HHS-9 Swivel Bracket and all of the screws required/necessary for installation.